Description: Psilomelane Locality: Iron Chief and Ferro Group (Iron Chief; Argus Range), Inyo County, California, USA (Locality at mindat.org) Size: 6.7 x 5.8 x 5.1 cm. 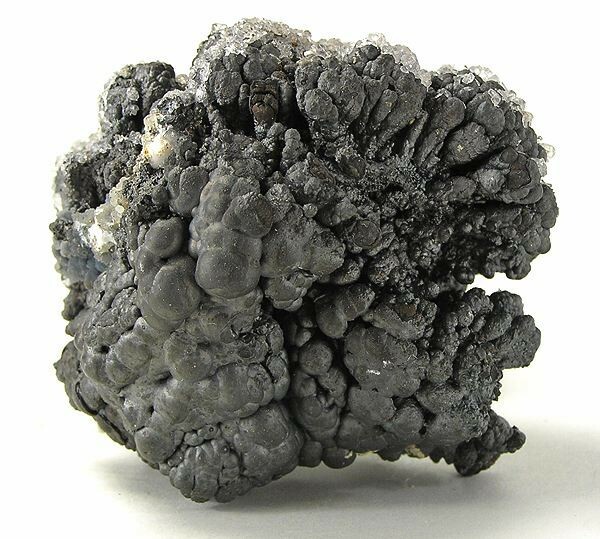 From the noted California collection of Charles Hansen - a specimen of the weird-looking manganese oxide psilomelane, looking more biological than mineralogical! U.S. specimens are uncommon on the market. Old California material, and a pretty good one!